Sidharth Naik is a resident of Roseland Residency in Pimple Saudagar, Pimpri Chinchwad. He is a strong believer in "My Waste My Responsibility" for a sustainable tomorrow. 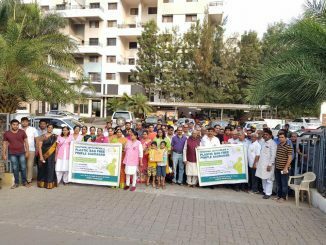 Pimple Saudagar, a suburb of Pimpri Chinchwad, sister city of Pune, has kickstarted a focused campaign among all citizen stakeholders to ensure that no one uses plastic bags from January 1st.